Deanna Wu (Los Altos) - Book Appointment Online! 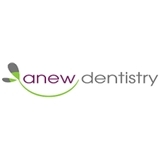 At Anew Dentistry, we make every effort to create a friendly, patient centered environment. We work together to provide quality dentistry for people of all ages. It is our goal to provide healthy and natural smiles for all our patients. Prevention As a practice, we believe that prevention and education are the keys to optimal dental health. We aim to practice “dental health care” rather than treat “dental disease." Therefore our dentist completes thorough exams – checking the overall health of your teeth and gums, performing VELscope® advanced oral cancer screening, and taking digital x-rays when necessary. But we are not only focused on the beauty of your smile, we’re also concerned about your health. A review of your medical history can help us stay informed of your overall health, any new medications, and any illnesses that may impact your dental health. Safety Additionally, we are committed to maintaining infection control standards and environmental safety. To protect our patients and ourselves, we follow sterilization and cross contamination processes using standards recommended by the American Dental Association (ADA), the Occupational Safety and Health Administration (OSHA), and the Center for Disease Control (CDC). To protect the environment, we utilize an EPA approved water purification system, amalgam trap systems and employ a waste company to eliminate hazardous materials. Technology Our digital x-ray system is designed to minimize radiation exposure and assist with diagnosis and treatment planning. Our intraoral camera will allow you to visualize and assist with education. The VELscope Vx is the most powerful tool available for assisting in the discovery of oral abnormalities. The VELscope's distinctive blue-spectrum light causes the soft tissues of the mouth to naturally fluoresce. Healthy tissues fluoresce in distinctive patterns — patterns that are visibly disrupted by trauma or disease. Using the VELscope, a wide variety of oral abnormalities can be discovered — often before they're visible to the unassisted eye. Discovering soft tissue abnormalities is particularly important in the fight against oral cancer. Because the VELscope Vx assists in early detection, cancer can be caught before it has time to spread, potentially saving lives through less invasive, more effective treatment. CEREC (one visit crowns) - A technological innovation is the "Computer-assisted design-Computer-assisted manufacture" crown, or "CAD-CAM." CAD/CAM dentistry such as CEREC is the future of dentistry. Utilizing modern technology, our office can produce an accurate, safe, biocompatible dental crown, inlay, onlay in just one visit. These CEREC crowns are milled out of different types of ceramic material. Great service. In and out. Painless. Recommend!